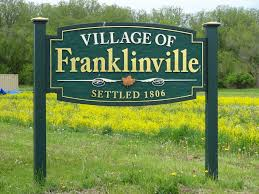 There is no other company in Franklinville, New Jersey that offers the level of friendly, efficient, and informative service that we do. Household issues should not be a burden to the homeowner when there are skilled professionals ready to handle the job. Emergency maintenance, drain cleaning, plumbing, and heating are an example of the exceptional services we offer to our local customers. No problem with your faucets, drains, sewer, or pipes is too complicated or large for us to handle. We are knowledgeable and skilled in all types of repair and replacement so that you can feel secure knowing that the right guys are on the job. Do not worry about the day or the week or time you call us, there is someone waiting to personally answer your call to get your fast help in any situation. It does not matter what type of appliances you use to heat your home in the chilly winter, we service them all without an issue. 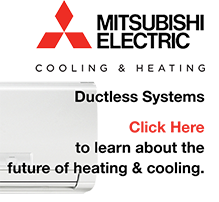 Trust our team to perform tune-ups, repair, and installation of a more energy efficient unit when the time comes for a full replacement. Our goal is to provide comfort to your family and help you cut back on cost when possible. The inside of your pipes can become clogged over time as toilet paper, food, and other materials are collected in the area used for water drainage. Chemicals and running a pipe snake may keep water flowing, but it does not clear debris as thoroughly as we do. Whether you notice that drainage has slowed or there is evidence of an actual clog, let us perform our cleaning until your pipes are like new again. A tiny pinhole leak or burst pipe must be treated equally in terms of getting a quick repair to prevent damage to your furnishings. Other companies may put you at the bottom of their list and leave you waiting around for hours. A member of our dedicated team is waiting to answer your call personally to take care of your next emergency without hesitation. Why sacrifice hot water or throw away money paying for wasted energy when there is help just around the corner? If your hot water heater is old or performing inefficiently, it needs to be repaired or completely replaced with an upgraded appliance. Get details about the services we provide by calling 856-430-8452 or fill out our contact form to set up an appointment. We proudly treat all of our clients like family an provide the most dedicated service in town.